Stir in salt and freshly ground black pepper, add more to taste. Toss with pasta for a quick sauce, dollop over baked potatoes, or spread onto crackers or toasted slices of bread. 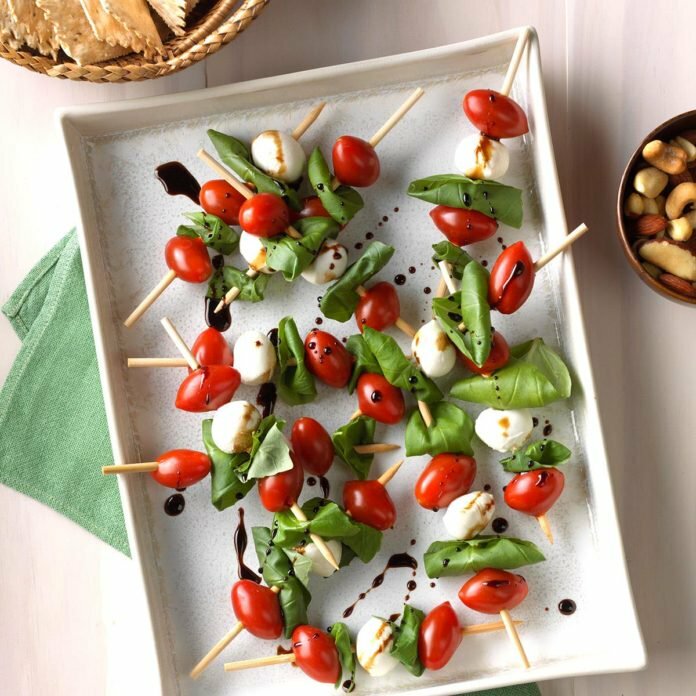 On each of 12 appetizer skewers, alternately thread two tomatoes, one cheese ball and two basil leaves. To serve, whisk together oil and vinegar; drizzle over kabobs. In a shaker, muddle strawberries and basil. Fill shaker three-fourths full with ice. Add the remaining ingredients; cover and shake 10-15 seconds or until condensation forms on outside of shaker. Strain into a chilled cocktail glass. To make your own simple syrup: In a small saucepan, combine 2 cups sugar and 1 cup water; bring to a boil over medium heat, stirring to dissolve sugar. Reduce heat; simmer 3 minutes, stirring occasionally. Cool completely. Store, covered, in refrigerator for up to 2 weeks. Use to sweeten cocktails, iced tea or lemonade. Yield: 1-2/3 cups. In a blender, pulse 1 roughly chopped, skin-on English cucumber (about 2 cups); juice of 6 lemons (about 1 cup); 1 cup water; ½ to ¾ cup local honey (depending on desired sweetness); and ¼ cup fresh basil leaves until ingredients are combined and liquefied. Fill 8 tumblers with ice and divide lemonade evenly between glasses. Top each glass off with ½ cup of sparkling water, Prosecco, or a crisp, fruity white wine, such as Bonterra Organic Sauvignon Blanc. 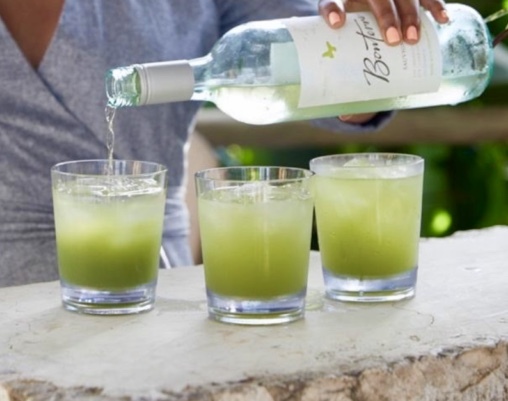 For a little kick, add a splash of Bonterra Organic Sauvignon Blanc to the Cucumber-Basil Lemonade.